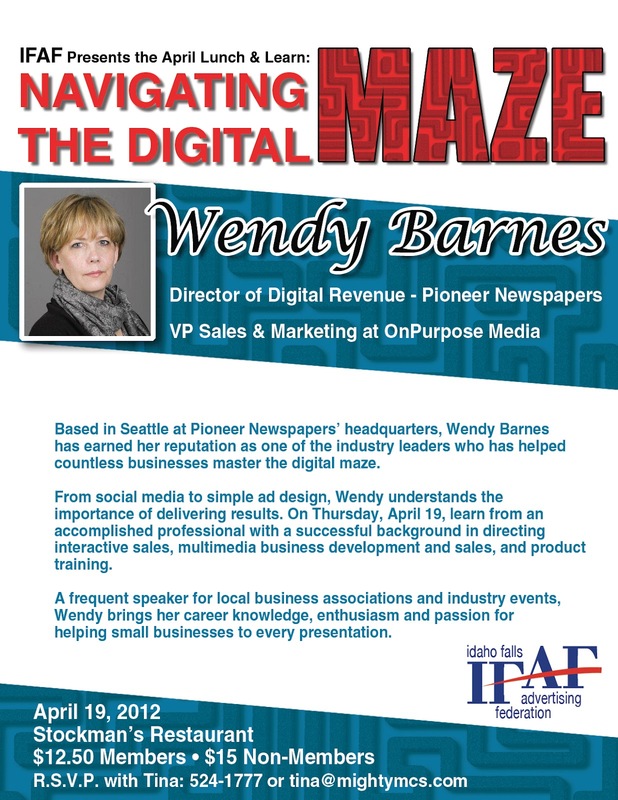 With the social media workshop at the Shilo Inn and the guest speaker at the Idaho Falls Advertising Federation Luncheon, April 19 is shaping up to be a very digital day. 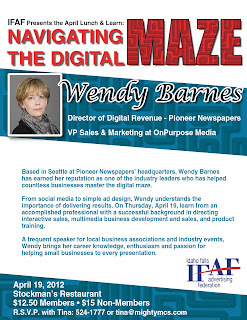 Here's the IFAF's flyer for Wendy Barnes of Pioneer Newspapers and OnPurpose Media. Rather than me rewriting the copy, open it up and look at it for yourself.